Auf dem Weg zur finalen Krise des Kapitalismus? Once again, imperialism is the subject of critical debate. Amongst the contributions to this debate, we find approaches as different as Empire (Hardt/Negri), informal imperialism (Panitch/Gindin) or works from a worldsystem perspective (Arrighi, Chase-Dunn and Wallerstein). 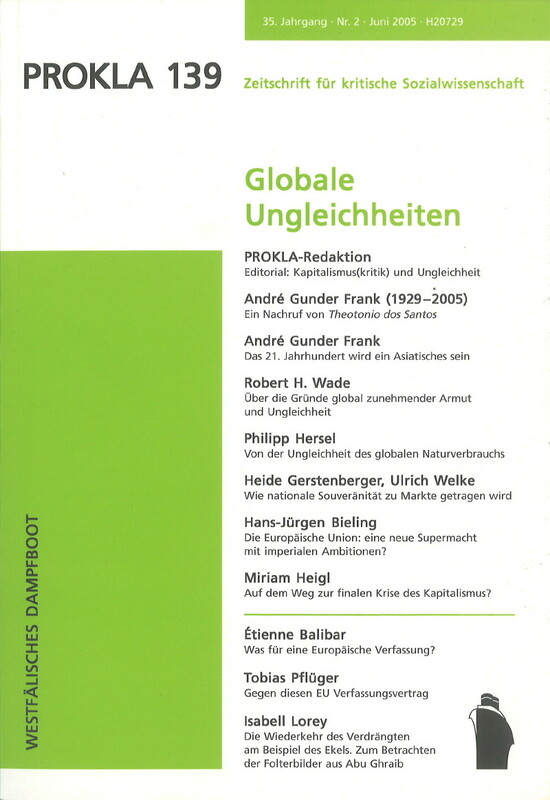 The article intends to explore impulses offered by the world-system approach to the current debate on imperialism and deliver a critical assessment of new works in the field of world-system theory. It is argued that major problems of the new works of world-system theory consist in insufficient foundations of their basic theoretical assumptions (economic and hegemonic cycles) and often in a fixation on the approaching final crisis of capitalism.